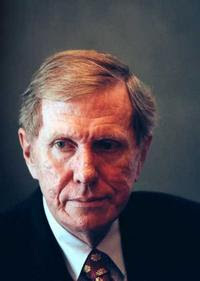 The High Court judge Michael Kirby has urged Australia's security chiefs and judges not to exaggerate the risk of terrorism, saying that more people die of AIDS every day than were killed in the World Trade Centre in the September 11 [US false flag] attacks. AIDS, poverty, malaria and ethnic violence "are more potent dangers for more members of humanity that the terrorism of al-Qaeda", Justice Kirby said. "If a small proportion of the energy and capital that has been devoted to the dangers following September 11, 2001 had been lavished on the problem of AIDS, I feel sure that the world would be a better and probably a safer, certainly a kinder, place." Justice Kirby's speech, released yesterday, was originally delivered behind closed doors to a special conference on national security and the law 10 days ago. The head of ASIO, Dennis Richardson, the Federal Police chief, Mick Keelty, the chief of the Air Force, Air Marshal Angus Houston, judges and senior public servants from the Attorney-General's department attended the conference. Justice Kirby's comments stood in contrast to remarks by Mr Richardson, who stressed the role of his organisation in preventing terrorist attacks. Mr Richardson's office has not released his speech but the Australian Law Reform Commission, which hosted the conference, hopes to publish the proceedings in the coming months. Justice Kirby acknowledged that the risks posed by modern terrorists were "in some ways more perilous" because of new technology and the loose structure of terrorist networks. But he urged the security services to keep the threat in perspective and not risk undermining fundamental human rights. He also cautioned against always following the US Government in its response to terrorism, warning it "may sometimes be misguided and prone to excess". He suggested instead that Australians should rely on their common sense and the rule of law. "We should never forget that to the extent that we exaggerate the risks to national security we fall into the hands of those who threaten our constitutionalism," Justice Kirby said. "To the extent that we overreact, we proffer the terrorists the greatest tribute." In November 2002, as chairman of the International Commission of Jurists, he told a Senate inquiry "it is patently clear" that proposed anti-terrorism legislation "is aimed at Muslims". His submission said the new laws would be "subverting [liberty] more effectively than terrorism could ever do". The New South Wales Director of Public Prosecutions (DPP) has rejected the idea of new laws against terrorism in Australia.